From $1,500 per night, you could be strolling along the pristine shores of the Laccadive Sea next to a luxury hotel which was on the receiving end of the coveted Trip Advisor travelers' choice award for best hotel in 2015. For an extra $150 per day you can enjoy half board and then double that again for an upgrade to full service. Yes, the Gili Lankanfushi in the Maldives comes with a price tag too, but for those who take a splash and opt for this natural and incredibly scenic island, there are rich rewards to come with it. Surrounded by tropical palm trees and fronted by the whitest powdered sands, the hotel boasts an unrivaled setting which is as secluded as it is awe inspiring. When you wake up on the first morning and catch a glimpse of the turquoise waters that await, there will be no words needed to evoke excitement. Most of the suites are open air (apart from the bedroom) and aside from the spacious living area, there is a private deck, steps leading to the sea or a rectangular swimming pool and a rooftop terrace for added privacy. While the food does come at a price too, it is often commented from guests that you would need two weeks to sample everything on the mouthwatering menu. 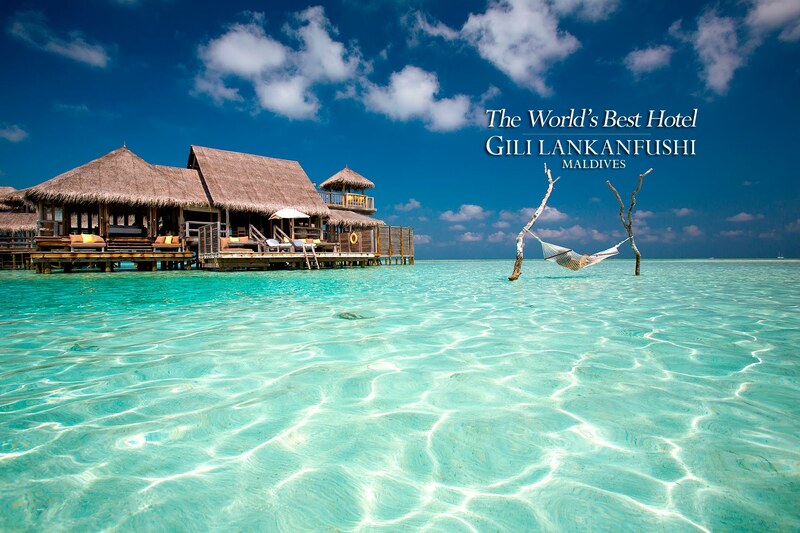 Over the top and living right up to its reputation, the Gili Lankanfushi even has a selection of luxury villas they refer to as the private crusoe residences which can only be reached by boat. New and flamboyant, the Four Seasons George V is said to be the most luxurious hotel in Paris and although it has a mighty 244 rooms, it has already developed a reputation for making every visit a personal experience. 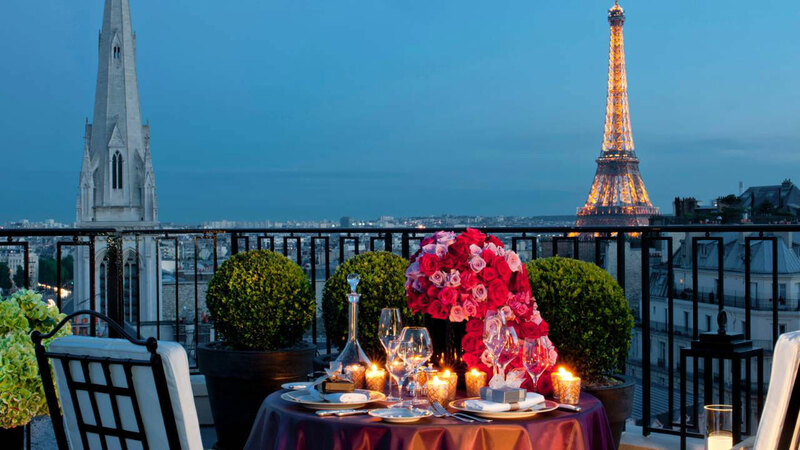 Situated steps from the Champs Elysees, the hotel has the most sought after location in Paris with every bistro, cafe and five star restaurant on the doorstep, not to mention all the most iconic landmarks and monuments. As you might expect, inside the Four Seasons George V is a sublime experience and an example of absolute luxury with designer furniture, decadent art and extravagant lighting. Eight stories make up the building since the foundations were laid in 1928.The views from each suite are one of the many reasons the hotel has gained notoriety so quickly. Imagine waking up in the morning and pulling back the drapes only to see the Eiffel Tower staring back at you; the most famous landmark in the world and it's right there in front of you. A generous lounge, an enormous outdoor terrace, the finest linen and world class customer service are all part of the French style luxuries awaiting you. Paris is called the city of love and you are sure to fall in love with the Four Seasons George V.
The first installment for the St Regis chain in Malaysia, the St Regis Langkawi has just opened and has all the character, luxury and appeal that you would expect of this legendary brand. The St. Regis Langkawi is situated at the very south of the archipelago in Langkawi, what is South East Asia's very first UNESCO World Geopark. 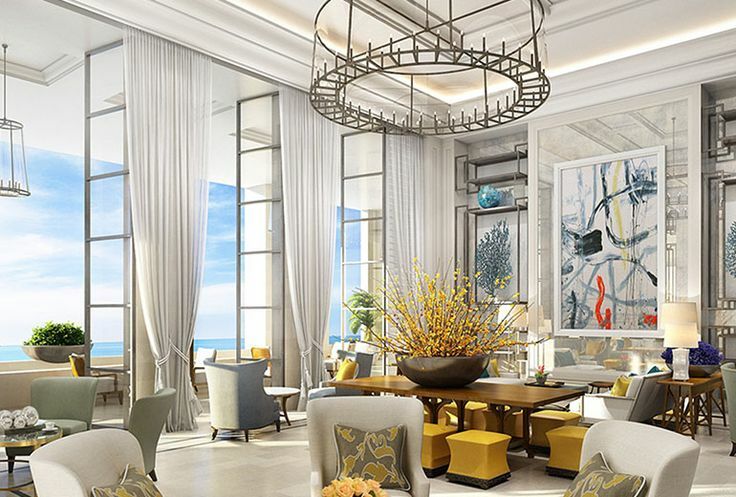 With stunning unobstructed views of the Andaman Sea, the terraces outside of each suite or villa in the St Regis are a stand out feature, as too is the option to have a personal butler, the beautiful paintings inside from local artists and bright modern decor. Interestingly, the St Regis is also the only hotel on the island of Langkawi that has suites of which there are 85 in total. Choose the swimming pool, the whirlpool or a dip in the ocean on a private 2 kilometer long private beach, the St Regis Langkawi has all the offerings of the top five star hotels in the world but it also has a luscious tropical surrounding that would put many of their locations to shame. With a mixture of Australian, Asian, Middle Eastern and Malaysian cuisine, the three restaurants in the St Regis will ensure you never get tired of the food, while the bar is known for having sensational cocktails to match the flamboyant art adorning the walls. Due to fully open its doors in 2016, the L'Amandier in Morocco has an infinity pool overlooking the Atlas mountains from the most glorious vantage point imaginable. Nestled deep within the Toubkal National Park, this stunning offering is really raising the bar for luxury hotels in North Africa and giving the traveler with high expectations absolutely no reason not to visit the region. 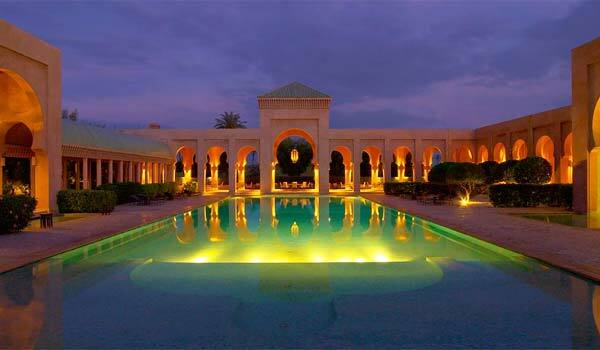 With less than 20 rooms, the hotel will be quiet and each one has a fantastic terrace with breathtaking pools and an elaborate bright interior. For anyone looking to partake in activities there are many, from zip lining, to water skiing and horse riding, while there is also an on-site yoga studio in which to unwind. Naturally the food is local and of the highest order and there is a bar on location, while for those who can afford to splash out, there is an insane luxury rooftop penthouse which offers added seclusion and unrivaled 360 views of the mountains. 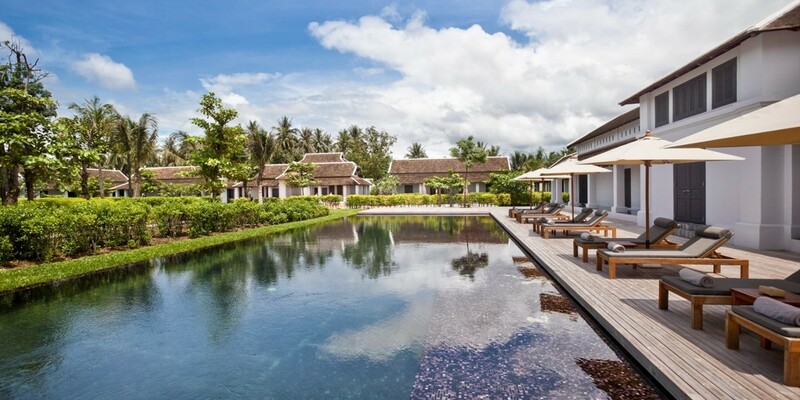 Nestled in the most alluring tropical surroundings in Laos, the Sofitel Luang Prabang offers a sublime mix of traditional Southeast Asian flair, French artistic brilliance and the expected Sofitel luxury experience. An extensive wine cellar and the huge variety on the traditional Lao menu in Governer Gill's restaurant are testament to the wonderful diversity in this new Laos luxury hotel, while the French Indochinese art adorning the hallways adds a certain flavor to what is already a very unique hotel. With a fully equipped and high tech fitness center, an enormous spa, a 25 meter mosaic decorated swimming pool and the incredible food mentioned above, the latest offering from the Sofitel chain has somehow managed to create a traditionally luxurious experience in the humble heart of beautiful Laos. Just five minutes from the old town and within easy reach of the Mekong and a whole host of adventure activities, the Sofitel Luang Prabang is perfect for the luxury traveler who still wants to visit the most primitive part of Southeast Asia. The Sofitel Luang Prabang offers an incredible pool setting beneath tropical palm trees and fully stocked with all the amenities needed to suit the business traveler including a large boardroom for meetings. With rates starting from $170, now is the time to take advantage of the special opening promotions for this beautiful luxury hotel in Laos. ‘tis the Season to go Skiing!